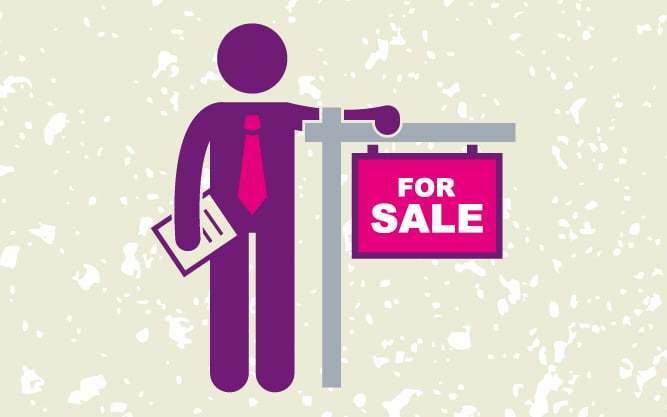 How do you navigate the perils of choosing your estate agent to sell your home? Russell Quirk offers his 10 Top Tips. 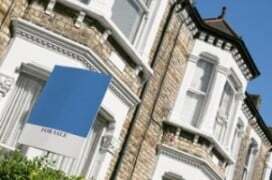 Each year 1.8 million homes are marketed for sale in the UK and most, around 95%, are listed via estate agents. That’s about 10% of all the privately owned housing stock. Last year, 1.23 million housing transaction were recorded by the Office of National Statistics and therefore 2 out of 3 of those homes listed actually sold. Total value? £350 billion. According to research from My Home Move, one of the country’s volume conveyancing firms, the typical estate agent charges 1.3% plus VAT, which means that in total, the country’s 25,000 estate agency branches bag £5.5 BILLION from home sellers annually. It’s a sector that consumers love to hate, perceiving it as poor value and representing bad service, apathy and dishonesty. But, given their pivotal position in the moving process and their unique access to buyers via the likes of Rightmove and Zoopla, most sellers will nonetheless turn to them when thinking about putting a property onto the market. Given the aforementioned reputation, how do you navigate the perils of which estate agency to choose? Particularly as it is often a decision that is made just two or three times in a lifetime – a naivety that the industry is well aware of when attempting to capture your business. The relationship with your estate agent may last months. Moving is stressful, full of uncertainty and is expensive. The conveyancing process is slow, archaic and frustrating. You truly need an agent as a partner in the process that is head and shoulders above the norm. Fee – There is no rule of thumb here. Choosing the most expensive agent definitely does not equate to receiving the best service. Conversely, the best fixed fee and online agents can offer superior levels of service to some high street companies that are ten times more expensive. So, ignore the agent’s cost as any barometer of quality. Reviews – Surprisingly, despite truly appalling customer reviews, some estate agents remain in business. In this ‘Trip Advisor’ society of ours, look upon researching a property company in exactly the same way as you would a holiday or a car. Check TrustPilot and AllAgents.co.uk, the UK’s biggest estate agency review website, for customer feedback. Some agents have a decent profile on just one such site, so do check more than one. You’ll quickly get a feel for whether the company you’ve seen advertised is as good as its marketing spiel says it is. Sole agency – The vast majority of traditional estate agents will ask you to sign a lengthy contract that locks you in to using them for many weeks. The question you might ask is ‘Why?’ If they are as good as no doubt they say they are, why would they want to tie you in to a contract that says you are not allowed to change agents even of you’re unhappy with them. My advice? Don’t sign a tie-in and certainly not anything over 4 weeks. Sole selling rights – This is the most onerous contractual term and is to be avoided at all costs. In essence, it necessitates that once signed you are committed to paying the agent’s commission even if you sell your home to a friend, relative or neighbour. In fact, anyone at all, even if the agent has not introduced them. An outrageous and egregious term. Check carefully and run away very fast if an agent tries this on with you. Valuation – Do not simply choose the firm that advises the highest value. This is often a ploy to flatter you into instructing them. Obtain three valuations and take the average. Price achieved – Ask each agent you talk to what percentage of the asking price that typically achieve when they sell. The UK average is 97% (Hometrack), but some agents achieve even higher. Some less. If you receive hesitation in the response to this query and you don’t believe their answer, ask for documented evidence. Compare local agents on asking price achieved. 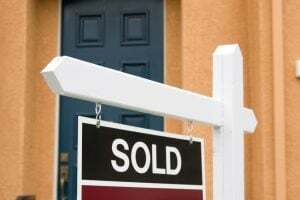 How many properties sell as a percentage of listings? – Typically, estate agents sell around 60% of what they list for sale. Some more, some less. Again, agents should know this statistic (many won’t) and it’s a key stat to be guided by (recent research amongst online/hybrid agents by eMoov found a range between 34% and 71% sold). Social media – Check out Facebook pages/reviews and Twitter terms for the brands you are considering. They are generally very indicative of true customer experience and very hard to ‘game’. Accessibility – You would be amazed at how many estate agency branches close on Sundays and are not open past 5.30pm weekdays. Find out opening hours and whether the agent uses technology to allow, say, 24/7 viewings bookings, price changes and so on. Most people are no longer ‘9 to 5’ these days and your prospective buyer is unlikely to be. Do you like them? – Seriously. I believe this is a big consideration. When you call an agent that is on your choice list or see them face to face for a valuation, were they polite and courteous? Helpful and punctual? Did they seem to know what they were talking about and to inspire confidence? Did you sense that they had integrity? If your gut says ‘no’, then avoid. The process is too precious to risk on individuals that you don’t feel comfortable with. Good luck in your choice. And remember that if you discover after selecting an agent that their promises and assurances were false, you can report them to the Advertising Standards Authority; Trading Standards or the Property Ombudsman. Usually, the very threat of such is enough to do the trick in ensuring a better response. Finally, if you have a bad experience, write a review. Similarly, if you have a good experience, write a review. Whilst bad service should be called out, so should great service. 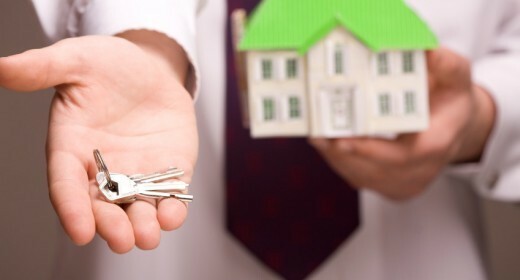 If you would like more advice on choosing an estate agent or help with checking a contract, join us as a member today.